This entry was posted on March 13, 2012 by dudemanart. It was filed under Uncategorized and was tagged with Armoire, art, arts, bar, Chatelaine, color, colour, contemporary, cool, Dudeman, graffiti, malcolm patterson, modern art, spray paint. 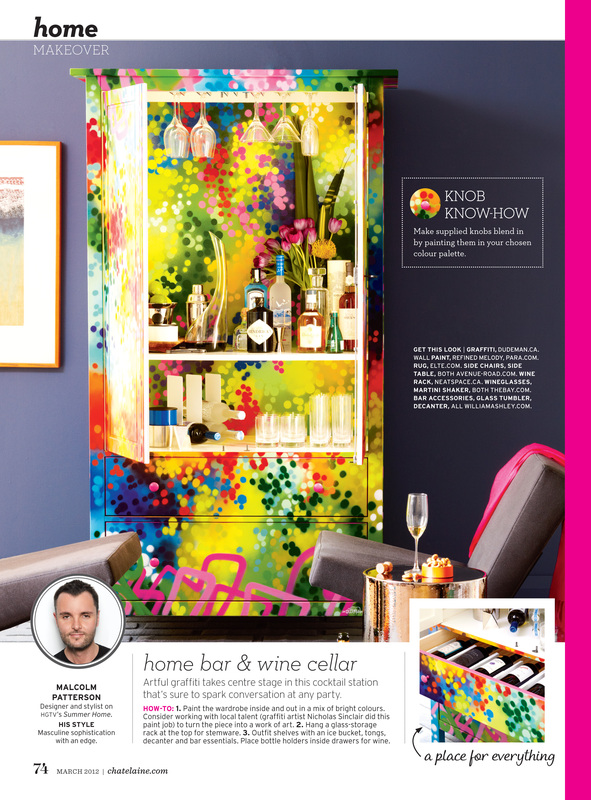 “Armoire for Chatelaine Magazine, March 2012 issue.